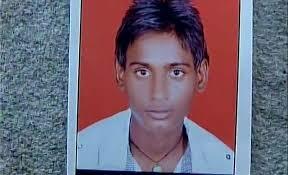 Chandigarh: Close on the heels of two Dalit children being burnt alive at Sunped village in Faridabad, a 15-year-old Dalit boy, who was charged with theft of a pigeon, was found dead under mysterious circumstances in Haryana's Gohana town on Thursday. Some members of the 'Gadia lohar' (ironsmiths) community had yesterday approached the Sonepat police charging the boy with the theft of a pigeon and demanded appropriate action against him, Superintendent of Police, Sonepat, Abhishek Garg said. "According to the preliminary investigations in the case, the boy was found dead at his home today. There was a mark around his neck. A post-mortem examination is underway and once its report comes, we can arrive at any conclusion how he died," Garg said over phone. Responding to the allegations that he died in police custody, he said, "we have registered a case and will add appropriate sections after the post-mortem report comes. As far as his family's allegations are concerned, we will take appropriate action if any such thing is found true during our investigations"